Kate French and Joe Choong will look to build on European medal successes when they compete in September's World Championships in Mexico City. 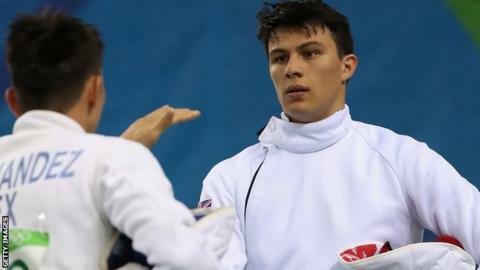 The British pair, who are part of an eight-strong team, won silver and bronze respectively in Hungary in July. "The medal was a big confidence boost," said Choong, 23. "I had lots of success at junior level but now I have a senior medal, I really want to kick on." BBC Sport will stream the mixed relay and the men's and women's events. The World Championships are taking place at an altitude of nearly 3,000m, which Choong says "will be a real challenge" because it is "higher than anywhere we've trained before". The team goes in with a mix of youth and experience. Myles Pillage, 20 and 19-year-old Zoe Davison will make their World Championship debuts - both were in contention for medals at the junior worlds in August before missing out. Former world number one Jamie Cooke, Sam Curry and Joanna Muir, are the other members of the team. Britain will host next year's European Championships in Bath. Inspired to try modern pentathlon? Find out how to get into modern pentathlon with our special guide. How to get into modern pentathlon - a unique combination of fencing, swimming, riding, running and shooting.